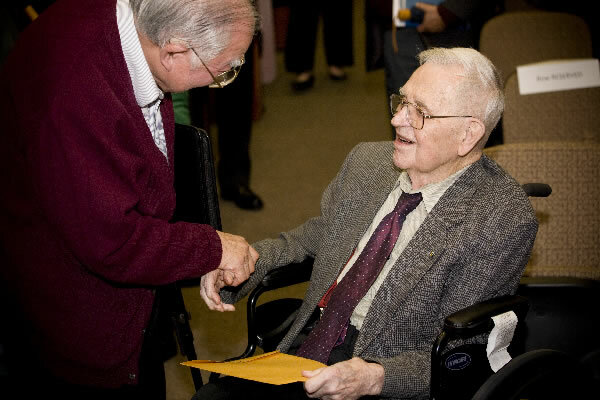 This lecture was given in honor of Dr. Frank E. Marble, Richard L. and Dorothy M. Hayman Professor of Mechanical Engineering and Professor of Jet Propulsion, Emeritus, a faculty member of GALCIT from 1949. He made pioneering contributions to combustion in jet propulsion systems, flame stabilization, and propagation of acoustic waves. 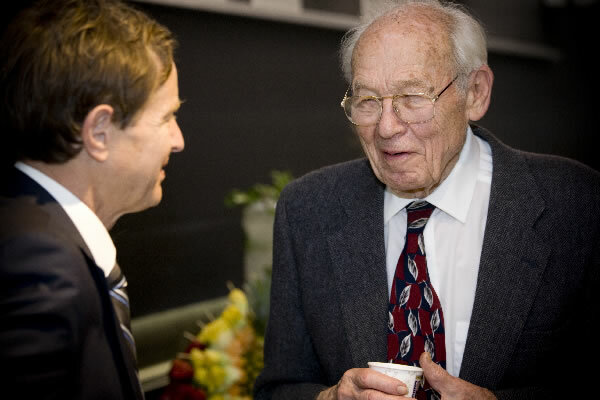 The Frank E. Marble Lecture in Aerospace is made possible through a generous gift from Caltech alumni Drs. 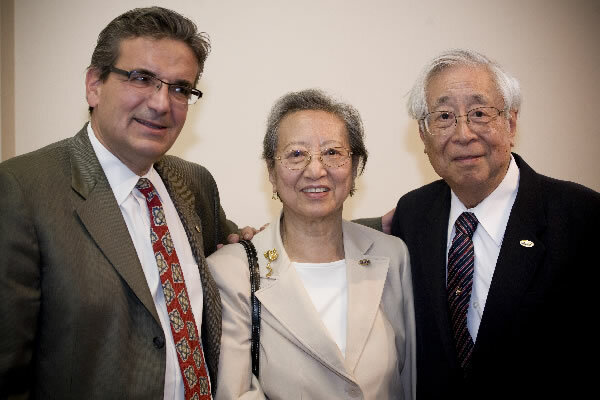 Jain-Ming (James) Wu (MS’59, PhD’65 Ae) and Ying-Chu Lin (Susan) Wu (PhD’63 Ae) who carried out their doctoral research in GALCIT. 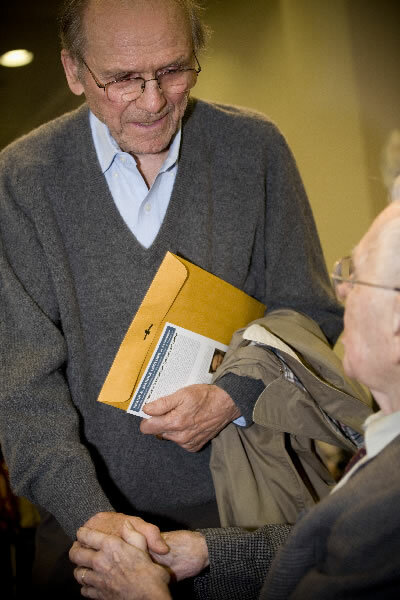 Through this lecture they honor a professor who has made significant impact in their lives. Combustion dynamics raises constitutes a challenging area in combustion research. Many current issues are found in modern gas turbines which rely on premixed combustion to reduce NOx emissions but are sensitive to resonant acoustic coupling leading to instability. Dynamical phenomena have detrimental effects and are specifically damaging in high performance devices like aero-engine combustors or rocket engine thrust chambers. Many aspects of this subject have been investigated for their fundamental and practical implications (with some pioneering research by H.S. 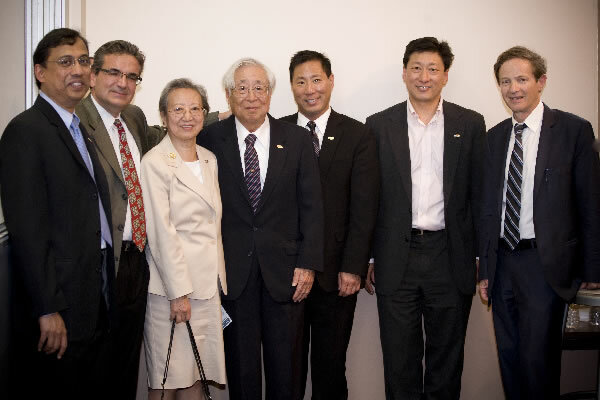 Tsien, Frank Marble and other Caltech scientists). Progress has been made more recently in the experimental investigation of the driving and coupling mechanisms, in analytical modeling and in the exploration of large eddy simulations for combustion. After a brief review of central isues in combustion, this lecture proposes a synthesis of recent advances including: (1) Investigations of perturbed flame dynamics, (2) Studies of swirling flames responses to upstream disturbances, (3) Application of describing function methods to the analysis of nonlinear features like limit cycle oscillations, triggering, frequency shifting and mode switching. Advances in computational flame dynamics will be illustrated by calculations of perturbed flames and of selfsustained oscillations in various configurations. New concepts for the dynamical control of instabilities will be exposed. 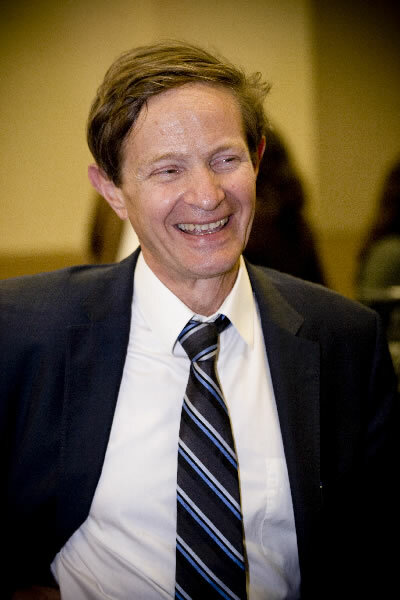 Sebastien Candel obtained his engineering degree from Ecole Centrale Paris in 1968, PhD in Mechanical Engineering and Applied Mathematics from the California Institute of Technology in 1972 and a Doctorat d'Etat from University of Paris 6 in 1977. Since 1978 he has been a professor at Ecole Centrale Paris where he now heads Mechanical and Aerospace Engineering and leads the combustion group of the EM2C laboratory (CNRS). He is a professor at Institut Universitaire de France since 2001 and holds the chair of Combustion and Propulsion. He has received numerous awards including the Marcel Dassault Grand Prize from the French Academy of Sciences, the Aeroacoustics award of the Confederation of Aerospace European Societies, the Pendray Aerospace Literature award of the American Institute of Aeronautics and Astronautics and a "Doctorate Honoris Causa" from the University of Brussels. He is a Fellow of the American Institute of Aeronautics and Astronautics (AIAA), the Institute of Physics (IOP), and the AAAF. 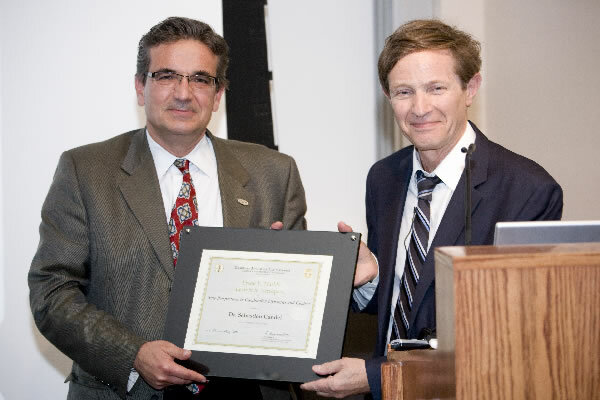 Since 1994 he has been a Corresponding Member of the French Academy of Sciences, he became a founding Member of the Academy of Technology in 2000 and was elected as a foreign member of the National Academy of Engineering of the United States in 2009.